These Terms of sale are concluded on the one hand by the company EARL Andre RICHARD with the share capital of 30489.80 € whose head office is located at 1215 ROUTE de violes 84190 GIGONDAS, registered in the register of Commerce and companies of Avignon under the Number 398 287 128 hereinafter referred to as “EARL ANDRE RICHARD” and managing the site www.tourade-gigondas.fr And, on the other hand, by any natural or legal person wishing to make a purchase via the website www.tourade-gigondas.fr Here in after referred to as “the purchaser”. These Terms of sale are intended to define the contractual relationship between EARL ANDRE RICHARD and the purchaser and the conditions applicable to any purchase made through the website www.tourade-gigondas.fr . The acquisition of a product through this site implies an unreserved acceptance by the purchaser of these terms and conditions of sale which the purchaser acknowledges having taken cognizance prior to his order. Before any transaction, the buyer declares on the one hand that the purchase of products on the site www.tourade-gigondas.fr is not directly related to its professional activity and is limited to strictly personal use and on the other hand to have full legal capacity, allowing it to commit itself under these general conditions of sale. The company EARL ANDRE RICHARD retains the possibility of modifying these sales conditions at any time, in order to comply with any new regulations or in order to improve the use of its site. As a result, the applicable conditions will be those in effect on the date of the order by the purchaser. The products proposed are those listed on the website of the company EARL ANDRE RICHARD, Within the limit of available stocks. The company EARL ANDRE RICHARD reserves the right to change the assortment of products at any time. Each product is presented on the website in the form of a descriptive containing its main technical characteristics. The photographs are as faithful as possible but do not engage the seller. 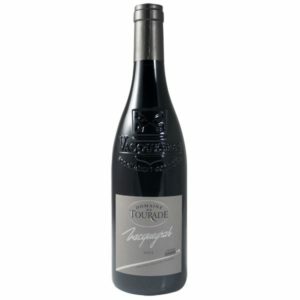 The sale of the products presented in the site www.tourade-gigondas.fr is intended for all buyers resident in the countries that fully authorise the entry into their territory of these products. The prices appearing on the product sheets of the Internet catalogue and are prices in Euros (€) all taxes included (including VAT) taking into account the VAT applicable on the day of the order. Any change in the VAT rate may be passed on to the price of the products. The company EARL ANDRE RICHARD reserves the right to change its prices at any time, however it is understood that the price listed in the catalogue on the day of the order will be the only applicable to the purchaser. The prices quoted do not include the delivery charges, charged in addition to the price of the products purchased according to the total amount of the order. 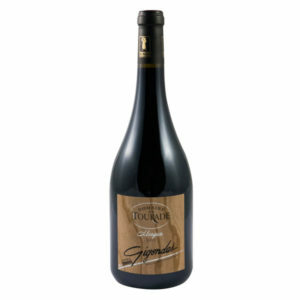 Before any order, the buyer must create an account on the site www.tourade-gigondas.fr . The account creation topic is directly accessible from the side menu bar. At each visit, the purchaser, if he wishes to order or consult his account (order status, Profile…), will have to identify himself using this information. “Payment by cheque”. Finally, the last step proposes to him to check all the information, to read and accept the present general conditions of sale by checking the corresponding box and then invites him to validate his order by clicking on the button “confirm My order “. This last click forms the final conclusion of the contract. Upon validation, the purchaser receives a purchase order confirming the registration of his order. 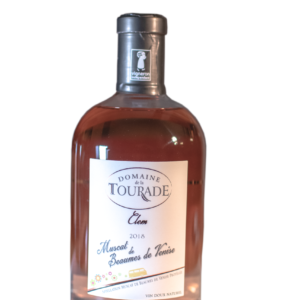 In order to finalize its payment and trigger the processing of its order, the purchaser must print this purchase order, accompanied by his cheque payable to “EARL ANDRE RICHARD” at the following address: Domaine de la Tourade 1215 ROUTE de violes 84190 GIGONDAS. No cash payment should be sent. Only cheques issued by a French bank will be accepted. Upon receipt of the cheque, the order will be processed and the buyer will be informed by email. The company EARL ANDRE RICHARD will ship the products at the earliest 2 business days after cashing the cheque corresponding to the order, subject to provisions. The purchaser selects the products he wishes to order in the “basket”, modifies if necessary (quantities, references…), checks the delivery address or fills in a new one. Then the shipping costs are calculated and submitted to the purchaser, as well as the name of the carrier. Then the buyer chooses the method of payment of his choice: “Payment by Transfer”. Finally, the last step proposes to him to check all the information, to read and accept the present general conditions of sale by checking the corresponding box and then invites him to validate his order by clicking on the button “confirm My order “. This last click forms the final conclusion of the contract. Upon validation, the purchaser receives a purchase order confirming the registration of his order. In order to finalize its payment and trigger the processing of its order, the buyer must contact his bank in order to make the transfer corresponding to the amount of his order to the bank account of EARL ANDRE RICHARD whose contact details are communicated to the purchaser. Upon receipt of the transfer, the order will be processed and the buyer will be informed by e-mail. The company EARL ANDRE RICHARD will ship the products at the earliest 2 working days after receiving the transfer corresponding to the order, subject to provisions. The purchaser selects the products he wishes to order in the “basket”, modifies if necessary (quantities, references…), checks the delivery address or fills in a new one. Then the shipping costs are calculated and submitted to the purchaser, as well as the name of the carrier. Then the buyer chooses the payment method of his choice: “Payment by CB”. The next step is to check all the information, to read and accept the present general conditions of sale by checking the corresponding box and then prompting him to validate his order by clicking on the button “Confirm my Command “. Finally, the buyer is redirected to the secure interface in order to securely inform his personal credit card references. If the payment is accepted, the order is registered and the contract is definitely formed. Payment by credit card is irrevocable. In the event of fraudulent use, the purchaser may require the cancellation of the payment by card, the sums paid will then be recredited or returned. The holder of a credit card is not liable if the disputed payment has been proven fraudulently, at a distance, without the physical use of his card. To obtain reimbursement of the fraudulent debit and any bank charges that the transaction may have generated, the cardholder must contest in writing the levy from his bank, within 70 days of the transaction, or even 120 days if the Contract that binds it to this one provides. The amounts levied shall be reimbursed by the bank within a maximum period of one month after receipt of the written protest lodged by the bearer. No costs of restitution of the sums may be charged to the holder. The confirmation of an order entails acceptance of these Terms of sale, the recognition to have perfect knowledge and the renunciation to avail itself of its own conditions of purchase. All the data provided and the recorded confirmation will be worth proof of the transaction. If the purchaser has an e-mail address and if he has informed him on his order form, the company EARL ANDRE RICHARD will send to him by e-mail the confirmation of the registration of his order. EARL ANDRE RICHARD reserves the right to cancel all non-conforming or dubious orders, as well as those from a Client With which there would be any dispute. The company EARL ANDRE RICHARD retains the full ownership of the products sold until the perfect cashing of the price, in principal, charges and taxes included. Under article L121 of the consumer Code, the purchaser has a period of fourteen working days from the delivery of their order to exercise his right of withdrawal and thus return the product to the seller for Exchange or Reimbursement without penalty, except for return costs. Requests for delivery abroad will be the subject of a personalized quotation. Deliveries are made at the address indicated on the order form which can only be in the agreed geographical area. Delivery times are only indicative; If these exceed thirty days from the order, the contract of sale may be terminated and the buyer refunded. The company EARL ANDRE RICHARD will be able to provide by e-mail to the buyer the tracking number of his parcel. For orders less than 30 bottles, the purchaser is delivered to his home by his own hand factor against signature. In the event of the buyer’s absence, he will receive a notice of passage of his mailman, which allows him to withdraw the products ordered at the nearest post office, for a period indicated by the postal services. For orders exceeding 30 bottles, the purchaser is delivered to his home by carrier. Transportation risks are the responsibility of the purchaser from the time the items leave the premises of the company EARL ANDRE RICHARD. The buyer is required to check in the presence of the postman or the deliveryman, the condition of the packing of the goods and its contents at the Deliverance. In the event of damage during transport, any protest must be made to the carrier within three days from the time of delivery. All products supplied by EARL ANDRE RICHARD benefit from the legal guarantee provided for in articles 1641 and following of the civil Code. In the event of non-conformity of a product sold, it may be returned to the company EARL ANDRE RICHARD who will take it back, exchange it or refund it. All claims, requests for Exchange or reimbursement must be made by mail at the following address: Domaine de la Tourade 215 ROUTE de violes 84190 GIGONDAS, within 30 days after delivery. The company EARL ANDRE RICHARD, in the process of distance selling, is held only by an obligation of means. Liability may not be incurred for damage resulting from the use of the Internet such as data loss, intrusion, virus, service disruption, or other involuntary problems. All the elements of the site www.tourade-gigondas.fr Are and remain the intellectual and exclusive property of the company EARL ANDRE RICHARD. No one is allowed to reproduce, exploit, or use in any way, even partially, the elements of the site whether they are in the form of photo, logo, visual or text. The company EARL ANDRE RICHARD is committed to preserving the confidentiality of the information provided by the purchaser, which he would have to transmit for the use of certain services. All information concerning him is subject to the provisions of Act No. 78-17 of 6 January 1978. As such, the user has the right to access, modify and delete the information concerning him. 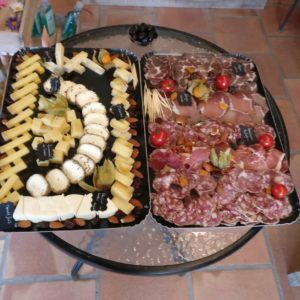 It can request it at any time by mail to the following address: Domaine de la Tourade, 1215 ROUTE DE violes 84190 GIGONDAS. The present terms of the distance sale are subject to the French law. For all disputes or litigation, the competent court shall be that of AVIGNON.